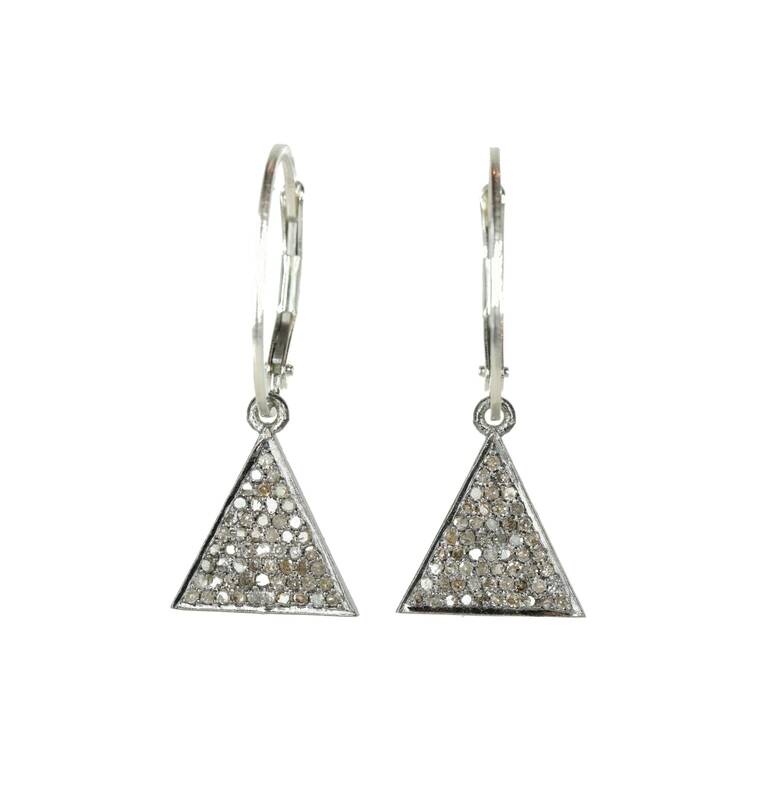 These are genuine pave diamond geometric triangle drop earrings set in oxidized sterling silver (.925). 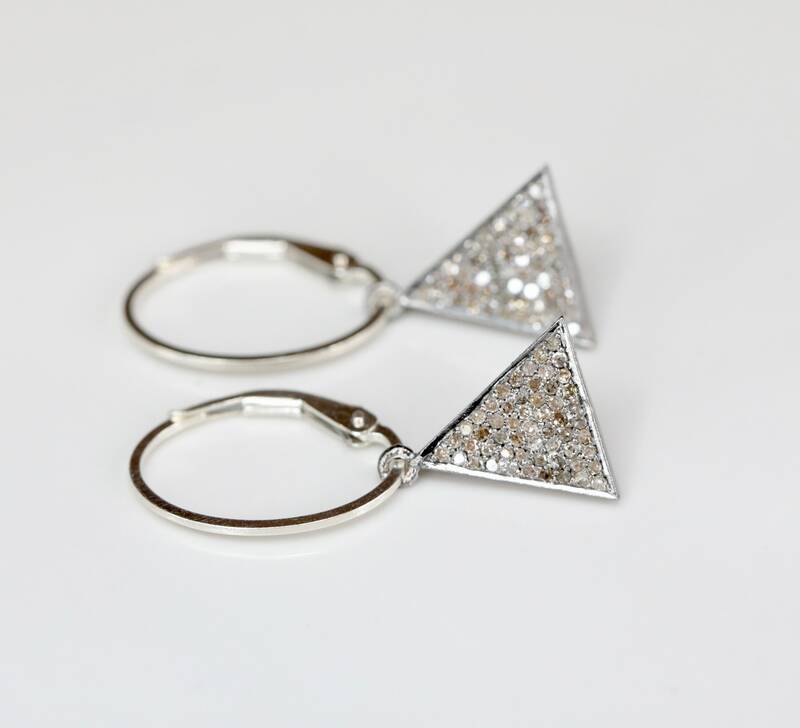 The diamond triangles measure approximately 12mm long and 11mm wide. 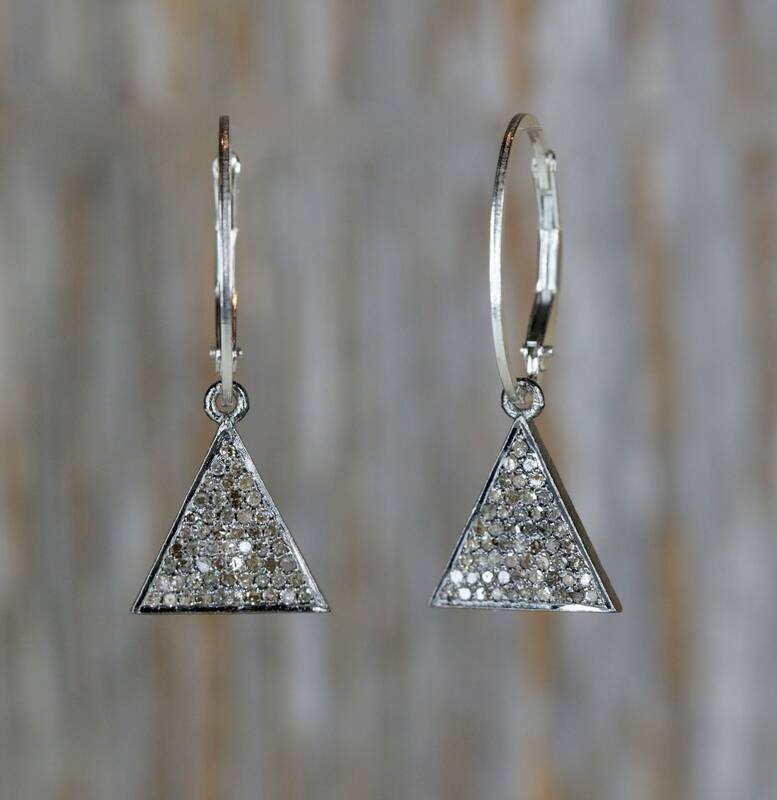 The ear wires are bright sterling silver oval lever backs.